I’ve just been told about a TV programme that may interest some of you. It’s on this evening on ITV1 at 8pm. As local authorities punish residents for failing to abide by recycling laws, Mark Jordan looks into whether the organisations themselves stand up to the same level of scrutiny. The reporter also looks into what becomes of recycled rubbish after it is taken away by refuse collectors. There definitely is a lack of information about the recycling process after kerbside collection. Full details should be given as feedback which can improve performance of everyone in the recycling system, including householders. I’ve just watched the programme with great interest, and am most definitely disappointed in the findings that unsorted recycling material is exported to countries like India, to become purely international landfill after it has been sorted by householders. I don’t think this will deter those committed to minimising waste and this is evidence for why avoidance of unnecessary packaging etc is vital. What I would urge readers to do now is to contact their local authority to get a statement about what actually happens to recycled materials. This is so important to regain and retain confidence amongst the British population. Please note that unless you live in a unitary authority, the body responsible for disposing of waste or recycling is the county council. Find out the email of the director responsible for that department and email them directly together with your local county councillor. This confirms my fears that all is not well in the management and administration of Uk waste. It also confirms in my mind that there is only one safe and sure route to follow and that is to purchase mindfully and reuse imaginatively so that we need to recycle less and less material. That way we take full responsibility for all our waste and not rely on others to make a bad job of it. I personally found the program sickening and I’m embarrassed to be part of a country that feeds its waste to other countries in this way. Shame on us! I’ve just written a brief outline of the programme and some of my thoughts here. I know I’m in an emotional ‘reactive’ stage at the moment, so I need a few days to gather my thoughts on this one….. Being an Indian, I was so excited by seeing the recycle process here in UK and the awareness programmes being conducted by the council and other environmentalists. After seeing this programme, I am totally disappointed, all the efforts being put by the people and the government to save the environment is not getting the result, yes if you consider only UK as the world! I,m not surprised with what the programme exposed. I live on the Wirral which always had a terrible recycling record. Then because of threats of fines if they didn’t do a lot better they built a M.R.F. which produces bales of separated recyclates. I’ve been there and I have seen just how poor the quality of separation is. The council now claims that the recycling rate is much improved but the public doesn’t know what happens to those bales. I’ve always recycled everything I possibly can at source, I make an immense effort, but with the introduction of bins to take mixed recyclables for sorting at the M.R.F. it is definitely a major step backwards. Even the individual recycling banks at the ‘bring’ sites are now all emptied into the same lorry, the contents mixed-up, for later ‘sorting’ at the M.R.F., and that is totally ‘rubbish’. Not only is the result absolutely ‘garbage’, it also means masses of energy etc. is needlessly wasted in the sorting process. Inside that M.R.F. it is massively labour-intensive and the machinery runs 24 hours a day. All my best efforts are wasted, but worse, much, much worse is the fact that if this system doesn’t work, and it’s obviously crap, the local authorities will be looking elsewhere for solutions to our waste problem. They already know what they want to do, burn it. There are currently applications all over the country for new incinerators to be built under the guise of ‘recycling plants’. Don’t be fooled, very little will be recycled at them. They will undoubtedly replace all the other genuine recycling facilities meaning waste is no longer natural resources to be respected and used repeatedly; instead it will be treated as a fuel, to produce ‘renewable energy’ as they are claiming. There is nothing clean or ‘green’ about incineration of ‘waste’, indeed such a ‘fuel’ has just got to be the dirtiest ‘fuel’ of them all. They claim that their filters and ‘scrubbers’ will stop all the pollutants….sorry but I’m not that naive. My family lost a child to a brain tumour that could well have been caused by dioxins from an incinerator. Have these stupid councils really got to face an epidemic of birth defects and mutations etc. before they get a conscience and get it right? Nobody in their right minds wants incineration. I exclude those with a financial stake (waste management type), those who see the expediency of it (government types) and those who love the current chain of waste system (superstores etc). There are better facilities up and coming. The Dagenham plant will deal with PET HDPE etc to provide full cycle use of these materials. That is the future, along with Zero Waste. Welcome to the site, Sunil. We are all very disappointed by what we saw on the programme. Last night I was ready to give in, but this morning, with a renewed sense of enthusiasm, my belief is that we have to try every harder to get this dreadful problem sorted. It appears that action is happening as a result of this programme. 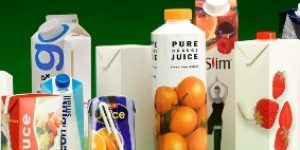 Already the Local Government Association (LGA) has called for new regulations to govern recycling and has written to every council leader in England and Wales to stress the importance of having detailed information about where recycled items are sold; according to packaging news. Many householders will be writing to their own councils and I think the pressure will now be on for transparency. How do you view things this morning? Welcome David; it’s great to see your comments, thank you for taking the time to share your thoughts. We feel the same way as you about incineration; it is the fear we have that this will provide the ‘answer’ to the waste problem in the UK – it’s the usual stance of out of sight, out of mind. But like you, we are very concerned about the health effects, which are, as yet unknown. I’m sorry to hear about the loss of your young family member……..
What we have to hope for is that recycling becomes more attractive than incineration so that the idea catches on and the drive is there to succeed with the 3 R’s. Mrs A – it was a few glasses of wine for you last night then – or is it me with double vision LOL! « Back to ‘normal life’ for us?